ISLAMABAD, PAKISTAN (October 9, 2018) — A ruling in Asia Bibi’s ‘blasphemy’ case has been delayed by Pakistan’s Supreme Court. 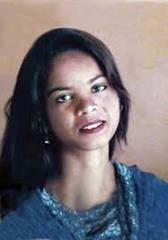 Pakistan’s Supreme Court in the capital Islamabad finally heard the much-delayed appeal in the Asia Bibi ‘blasphemy’ case Monday, October 8. The court again delayed a ruling in the case. Bibi is the first Christian woman sentenced to death under Pakistan’s blasphemy law. World Watch Monitor reports the court has not announced its decision. They report it will ‘reserve judgment’ for several days or possibly weeks. Aasiya Noreen, commonly known as Asia Bibi, has been in prison for eight years after she received the death penalty in 2010 for blasphemy. Her crime was allegedly making derogatory comments about the Prophet Mohammed during an argument with a Muslim woman. According to World Watch Monitor, Asia’s lawyer, Saif-ul-Malook, told Deutsche Welle (DW) that she stood a good chance to be released. “The incident happened on June 14, 2009, but the case was registered on June 19, 2009. The accused did not get the benefit of the doubt. Legally, it is a weak case,” he said. “There were also contradictions in the statements of the witnesses,” he told the three justices of the Supreme Court. Noreen had filed her appeal with Pakistan’s Supreme Court in 2014, but her last appearance, two years ago, was adjourned amid protests. An appeals court in 2014 used her case as justification to ask Pakistan’s government to change court rules in such a way as to make future blasphemy convictions more difficult to obtain. Only Pakistan’s Supreme Court can change Noreen’s death sentence or she has to appeal to the President for mercy. “Having a very strong faith, she is ready and willing to die for Christ,” he told the Catholic News Service. In May this year Pakistan’s interior minister, who has championed the country’s minority communities, survived an assassination attempt by a gunman protesting against the country’s blasphemy laws. Today, the three-member bench consisted of Nisar, with Justices Asif Saeed Khosa and Mazhar Alam Khan Miankhel. The lawyer for the complainant, an imam, Qari Muhammad Salaam was Ghulam Mustafa Chaudhry, the president of the Khatme Nabuwat (Finality of Prophethood) Lawyers’ Forum. Malook told the Supreme Court that the imam did not witness the alleged blasphemy himself. Today Malook again said it was at a local village council, or panchayat, of around 1000 people where Noreen was forced to confess the alleged instance of blasphemy. In 2014, Lahore high court judges categorically stated that Pakistani law would not take into account any such confession made to a random group, and they had at that time set aside evidence of all the witnesses related to the village council. In the run-up to today’s hearing an Islamic party, the Tehreek-e-Labaik Pakistan (TLP), had warned that “if there is any attempt to hand her [Bibi] over to a foreign country, there will be terrible consequences,” reported DW. The party is known for its strong support of the strict blasphemy laws and has called for blasphemers against Islam to be put to death and for those who kill alleged blasphemers to be celebrated. However, in February 2016, the Pakistani authorities hanged Mumtaz Qadri, the bodyguard who tried to justify his murder of Salman Taseer partly because of Taseer’s support of Asia Bibi. In a memoir published in 2012, Noreen described the moment she heard her death sentence: “I cried alone, putting my head in my hands. I can no longer bear the sight of people full of hatred, applauding the killing of a poor farm worker. I no longer see them, but I still hear them, the crowd who gave the judge a standing ovation, saying: ‘Kill her, kill her! Allahu akbar!’ The courthouse is invaded by a euphoric horde who break down the doors, chanting: ‘Vengeance for the holy prophet. Allah is great!’ I was then thrown like an old rubbish sack into the van… I had lost all humanity in their eyes,” she wrote. Blasphemy against Islam is an extremely sensitive issue in Pakistan. 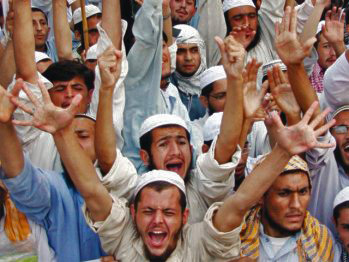 In November, protests against potential reform of the current laws brought life to a halt in the capital, Islamabad, and through international pressure increases for the government to change its legislation, conservative Muslim groups continue to vehemently refuse. Pakistan’s new Prime Minister Imran Khan has spoken in support of the country’s strict blasphemy laws, which have been used disproportionately against religious minorities. Pakistani Christians, for example, make up only 1.5 percent of the total population, but over a quarter (187) of the 702 blasphemy cases registered between 1990 and 2014 were against Christians. Pakistan is number 5 on the 2018 Open Doors World Watch List of the 50 countries where it is most difficult to live as a Christian.